(York, Pa., Sept. 16, 2017) - The York Revolution claimed its seventh trip to the postseason on Saturday with a 13-7 victory over the Lancaster Barnstormers before more than 7,000 people at PeoplesBank Park. Following the win, team officials announced that tickets for the Freedom Division Playoff Series, which begins in York on September 20, will be on sale beginning at 10 a.m. on Sunday, September 17. 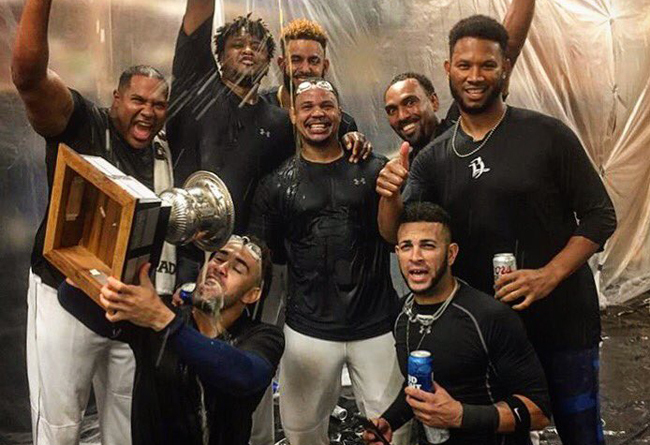 The best of five playoff series will be in York on September 20 and 21 before heading to Southern Maryland, home of this season’s first-half Freedom Division champion Blue Crabs. Tickets for the Wednesday and Thursday York playoff games will go sale at 10 a.m. on Friday, September 15, at YorkRevolution.com and the Apple Chevrolet Ticket Office and by phone at (717) 801-HITS. The team also announced that Revolution sponsors PeoplesBank, Rutter’s, and Isaac’s have partnered with the team and will provide vouchers for free playoff game tickets. Fans may pick them up at all PeoplesBank financial centers, all area Rutter’s stores, and the four York Isaac’s locations. Game time for both York playoff games will be 6:30 p.m. The York Revolution Professional Baseball Club is a member of the Atlantic League of Professional Baseball. The Revolution were Atlantic League Champions in 2010 and 2011. The 2017 season will be the team’s 11th. Located at 5 Brooks Robinson Way, PeoplesBank Park hosts all 70 home games, in addition to myriad events through the entire calendar year. For tickets or more information, please call 717-801-HITS (4487) or visit the Revolution online at www.YorkRevolution.com. The Atlantic League has been a leader in professional baseball and a gateway to Major League Baseball since 1998. Over 38 million fans have attended Atlantic League games and more than 800 players and 50 managers and coaches have joined MLB organizations directly from the ALPB. The Atlantic League emphasizes winning baseball games, showcasing the talent of top-caliber players and offering affordable family entertainment to metropolitan markets serving nearly 15% of the US population.